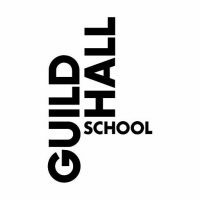 In this busy role you will be responsible for providing administrative support to the Junior Guildhall department alongside the Administrator, with specific responsibilities for the administration of the String and Brass Training Programme, and ensemble management. The ability to be self-motivated, maintain high standards and remain calm under pressure is essential. You will have excellent communication, numeracy and time management skills; advanced MS Office and IT competency. Ideal candidate should be first aid trained and have strong organisational and administrative skills. Knowledge of classical/contemporary music, ideally gained within the higher education sector, would be an advantage. The post holder will be expected to work on Saturdays during term time (12 Saturdays x 3 terms per annum). For more details please go to http://www.gsmd.ac.uk/jobs. Enhanced DBS checks will be required. Alternatively, please contact 020 7332 3978 (24hr answerphone) quoting GS376. A minicom service for the hearing impaired is available on 020 7332 3732. Closing date for applications is 6 December 2017 at 12PM. Late applications will not be accepted.